The adaptor for the OM-D E-M5 II, E-M10 II or E-M10 III is built using selective laser sintering. I can’t afford one of those machines. I therefore uploaded the design to a printing service. The VA-1 adaptor replaces the ones shipped with the VA-1. It won’t work with other angle finders without modification. 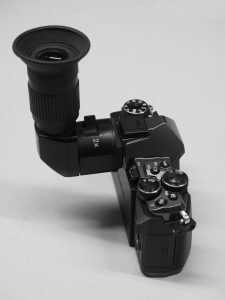 You may order the VA-1 adapter for the OM-D E-M5 II, E-M10 II or E-M10 III directly via Shapeways.